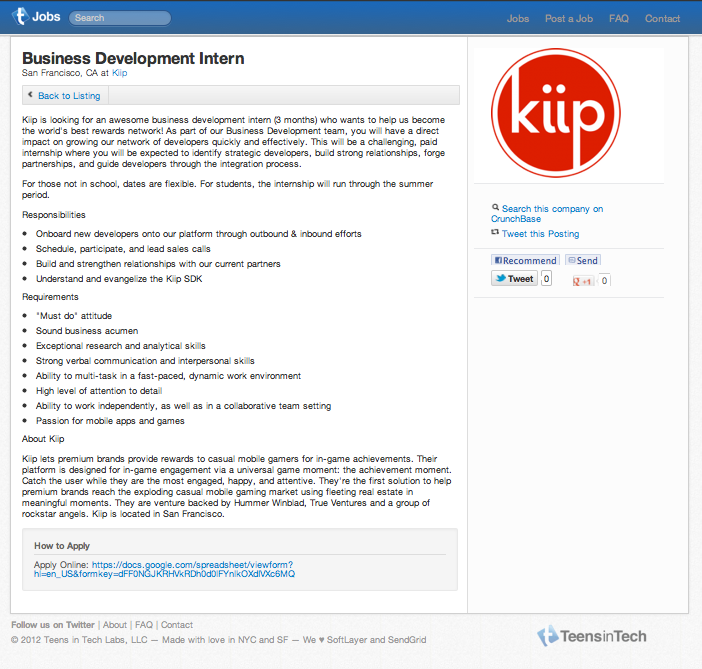 Startups, and companies of any size, are always on the lookout for awesome interns. First, it’s a great way to offload some of the tasks that full-time employees shouldn’t be focusing on, and second it’s great for company culture to bring in some younger blood. Of course, it’s also a fantastic experience for the intern, who might not have any real world work experience as of yet. Teens in Tech, which was started by young entrepreneur Daniel Brusilovsky, caters to helping the youngest geeks get the mentoring they need to build their own companies. In January, the incubator arm of the company opened its doors for applications to fill its 2012 class of startups, with applicants having to be between the ages of 13 and 19-years-old. 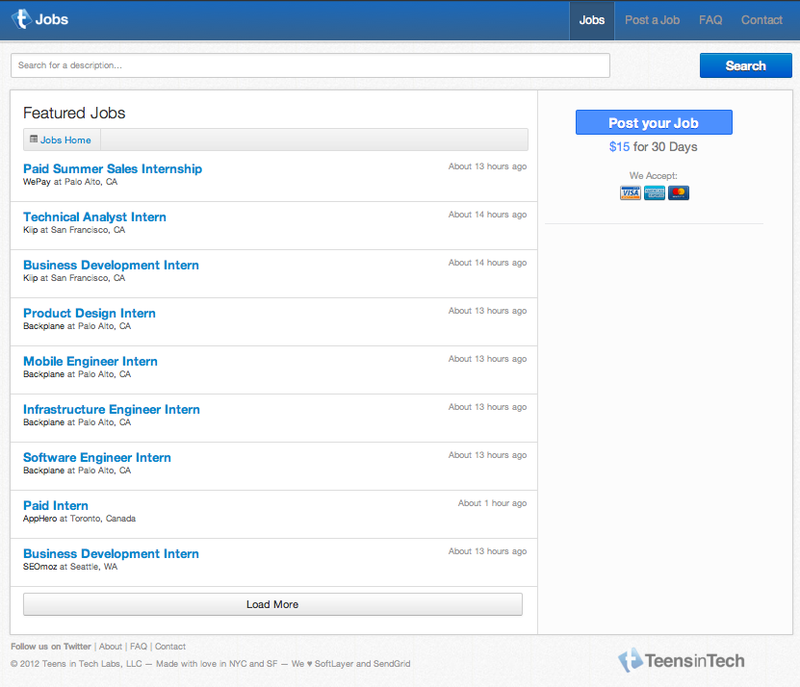 Today, the team is announcing the launch of “Teens in Tech Jobs” to bring interns and companies together. Companies can post a listing on the job board for a $15 for 30 days, which is extremely affordable. We’ve seen a huge increase in early stage startups that are lean, look to interns to help with engineering, marketing, etc … tasks that typically full time employees do with salaries starting at 65k+. Startups are always looking for cheap talent. The goal is simple: to connect young entrepreneurial people with internships at tech startups to gain experience and mentorship. Companies pay $15 a month to post a listing, and gain access to hundreds of teens in the Teens in Tech community. Backplane, AppHero, and SEOmoz have already signed on as launch partners. 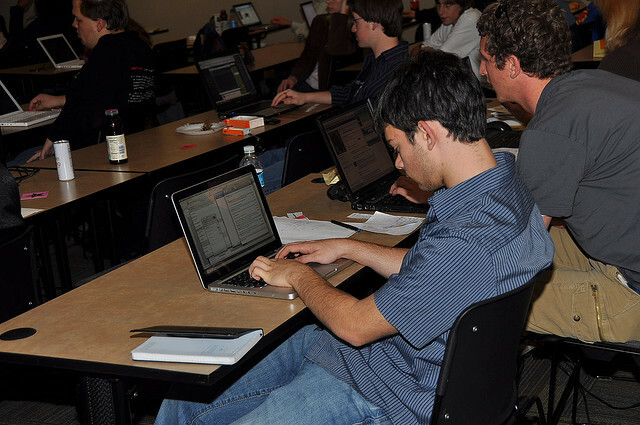 Teens in Tech has hammered out itself quite the niche in the valley, bridging the gap between younger talent and well-established companies. I hear that its demo day events are quite epic and am looking forward to attending the next one.